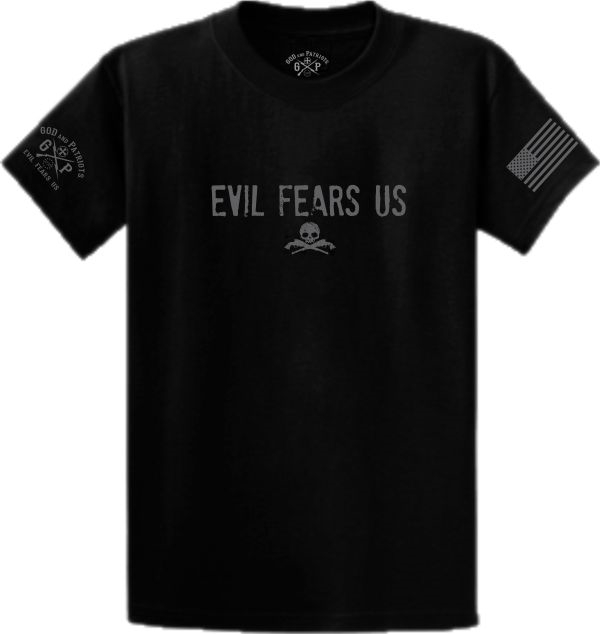 EVIL FEARS US tee shirt is simple and to the point. WE THE PEOPLE do not fight to rule over others, we fight to be free and spread our freedom to the world, our freedom that was paid for by the blood of God and Patriots. 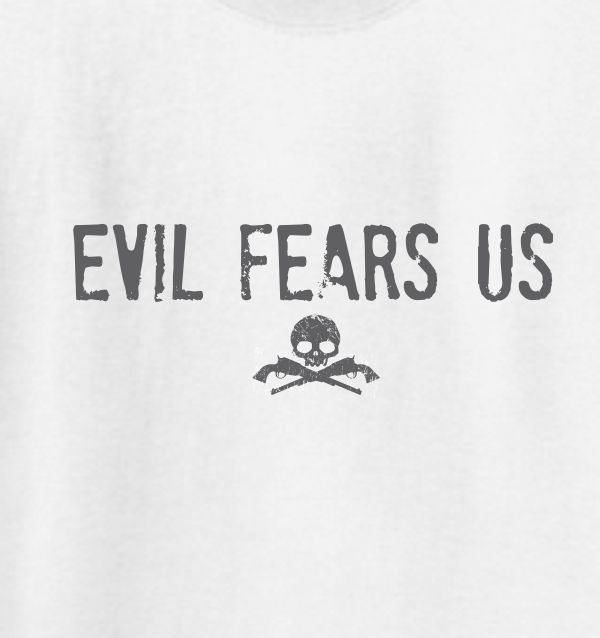 The front of this white Patriotic t shirt is screen printed with Evil Fears Us, two guns and a skull. 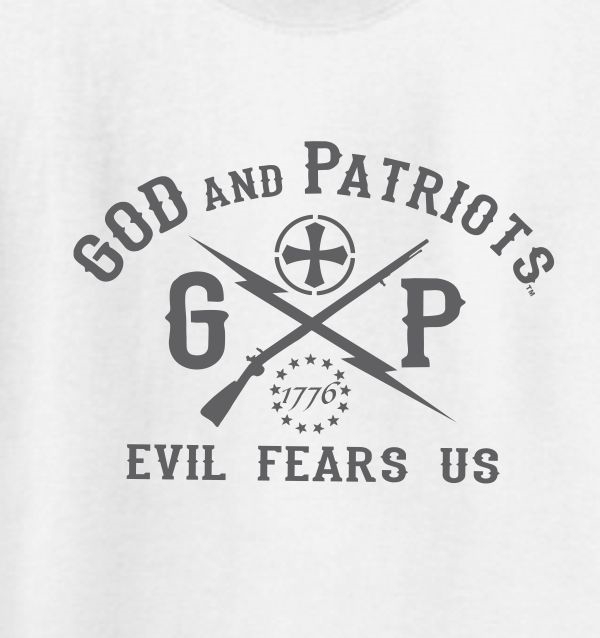 The right sleeve is printed with the God and Patriots logo: Evil Fears Us, a lightening bolt representing the power of God, a Cross representing the freedom Christ bought us, a Patriots musket rifle and the year 1776 representing the year of our American freedom. The left sleeve is printed with our American flag. T-shirt also available in black. 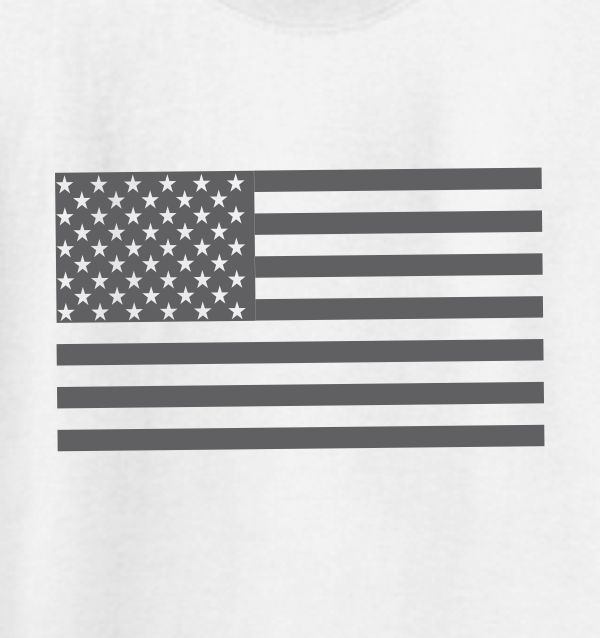 Quality 6 oz / 100% preshrunk cotton men's t-shirt in white and black. Graphic art design screen printed on front, left sleeve, and right sleeve.